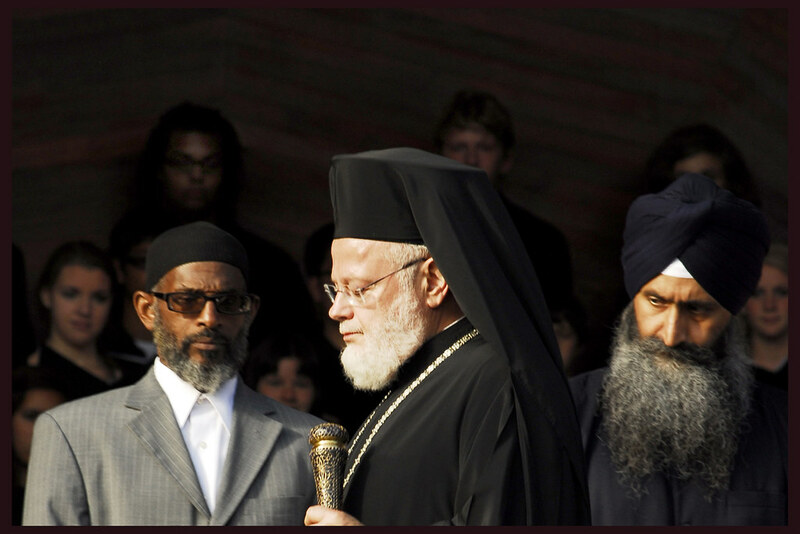 On Sunday September 11 2011, His Eminence Methodios, Metropolitan of Boston and New England participated in an Ecumenical observance in memory of Americans and citizens of the world who lost their lives in New York City, Pennsylvania and Washington DC from an attack by terrorists. The commemoration was held at the Half Shell on the Arthur Fiedler Esplanade along the Charles River in Boston. Attended and observed by thousands of Americans from the Boston area and visitors. It was a moving observance of prayers, music from the youth in the Boston and New England region and the Berkeley School of Music. His Eminence, Methodios prayed for the souls of the deceased of 9/11/2001. May the Memory of our Brothers and Sisters of 9/11 Be Eternal.